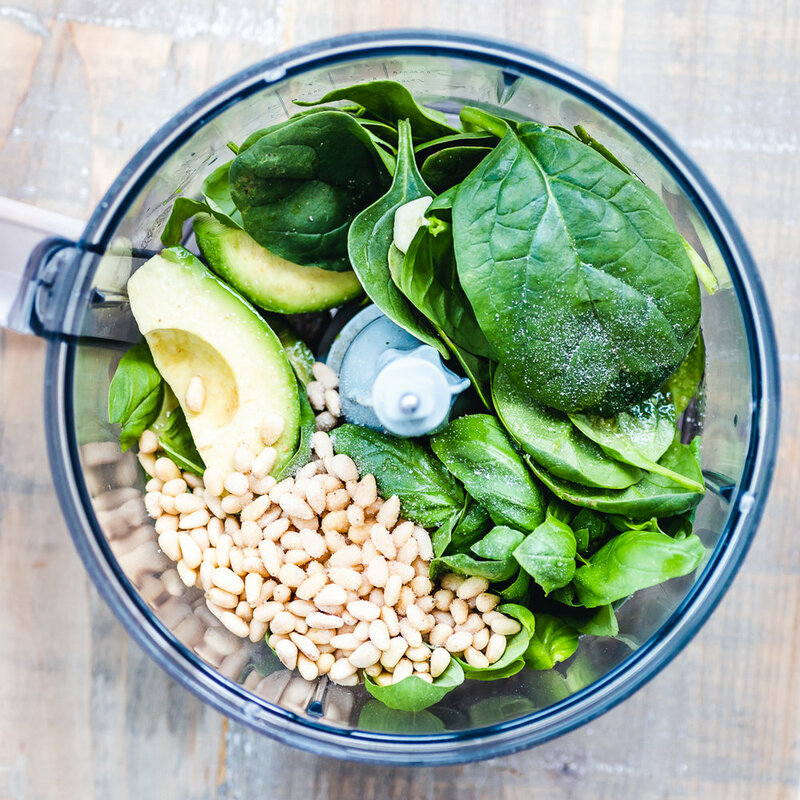 A healthy pesto sauce full of flavour and loaded with nutrients, this recipe takes no longer than 5 minutes to throw together and is perfect for a quick nutritious weekday meal. Vegan, dairy free & gluten free. Your favourite pasta & frozen peas. 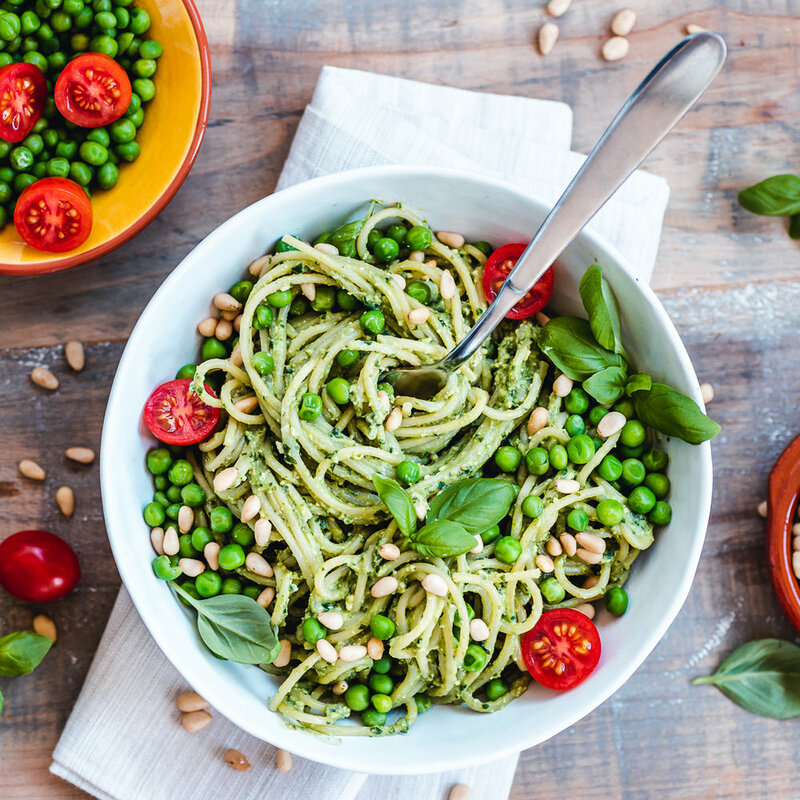 Choose edamame, black bean or chickpea pasta for a high protein option or opt for courgetti for a low carb option. For the sauce simply blend all of the ingredients (except for the milk) together in a food processor, then slowly add the milk until you reach your preferred sauce consistency. Boil your chosen pasta and throw in some frozen peas with it for the last 4 minutes of cooking. Gently heat up the sauce on a very low heat before adding to the pasta. Serve!